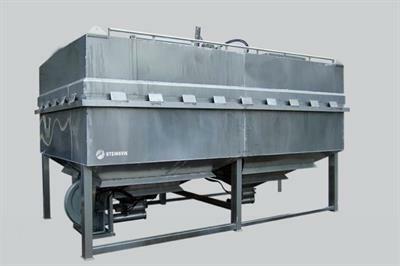 Steinsvik is a world-leading technology supplier to the global aquaculture industry. The driving force behind the company is a desire to provide innovation and solutions for an industry in constant development, and help shape tomorrow`s aquaculture. Steinsvik offers a wide range of products in feeding technology, monitoring systems, software, water engineering and parasite control. The company has over 600 employees with branches in 10 countries, and is headquartered on the west coast of Norway. The sea can be both demanding and temperamental, a tough environment that demands tough solutions. Our products will put your mind at ease, safe in the knowledge they will perform optimally under even the harshest conditions. Innovatively designed, ensuring a complete overview and control of your operations. Resilient and robust to withstand the nature of the ocean. Safe, sure and seaproofed for life. The rigors of the ocean have defined our heritage of crafting precision-made equipment to endure the power of the sea. Hands-on, dedicated and resilient, our attitude is reflected in our products. Innovatively challenging convention, we continuously adapt our knowledge to evolve ideas to solve tomorrows marine challenges, and the unforgiving harsh environments in which we operate. With focus on our customer needs, we believe in collaboration to discover the most effective and sustainable solutions. Our values and actions give us the ability to carry out our mission. These are the things we carry with us always. They guide the decisions we make in our work day to day. They define us as a company and as the type of people we are. By putting these values into practice we create an attitude and an approach that will maximize value for our clients and ensure our company is an inspirational place to work. Foresee opportunities and initiate change. Beware of your footprint, we need to take care of the environment. Think differently to achieve your goals. Stay hands-on and fulfill what you have started. Support each other through close collaboration. Tell it like it is. Always. By being open you can be inspired. Dig deeper, look for solutions for tomorrow. Steinsvik's origins begin in 1966 when Steinsvik Maskinindustri AS is established as a machining company in Tysvær by Kåre Steinsvik. Between 1986 and 2000 it was acquired several businesses; including Kongsberg våpenfabrikk, Odda department (100 employees), Larsen & Mortensen (15 employees) and Kirkenes mekaniske AS. Steinsvik Maskinindustri evolved through acquisitions and organic growth to become a solid industrial group with numerous branches and subsidiaries in Norway, subsidiaries in South America and a large network of agents in many countries. In the 1990s, SM Gruppen was considered as one of Norway's leading export companies. SM Gruppen goes bankrupt and the company's businesses are sold to new owners. Steinsvik Maskinindustri AS and the business at Frakkagjerd is acquired by Bjørn M. Apeland, then the CEO of Haugaland Kraft. Locally, SM Gruppen had always been described as “Steinsvik”. It was therefore natural to carry on using this name in the future initiative. 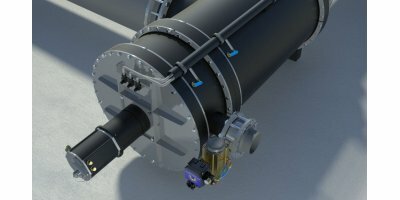 Competence and professional reputation was intact, and it was decided to continue to focus on developing “robust, high-tech solutions for harsh environments”. After Steinsvik had been producing underwater cameras for the fish farming industry for several years, Orbit AquaCam was in 2006 established as it's own company to focus on developing reliable monitoring solutions. Orbit AquaCam Chile was established in Puerto Montt to increase the focus on our products in the Chilean market. Steinsvik Elektro was established so that we were able to conduct and ensure the quality of electrical work on our own installations. Orbit AquaCam merged with GMT who provided central feeding systems and became OrbitGMT. 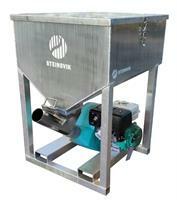 Steinsvik then became an even more complete provider of equipment for the fish farming industry. We also opened our offices in Scotland. OrbitGMT became Steinsvik Aqua to highlight the company's roots. Steinsvik opens a new factory in Vietnam, and an office in Oceania. Scandinavian Design Group develops a new visual identity for Steinsvik and all Steinsvik companies change name to «Steinsvik» to correspond with the new identity. The same year, Steinsvik also acquires two competing companies; TelCage and Ocea. Our Canada office is opened. The Vietnam factory is extended to 8400 m2. Kverva acquires the last 50% of shares in Steinsvik Group and becomes the sole owner. We open departments in Spain and Turkey. 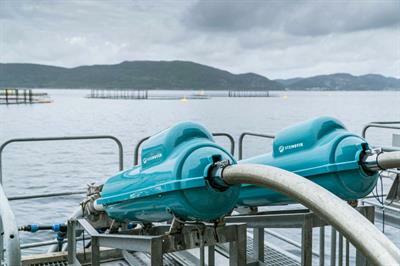 59,7% of the shares of AquaOptima is bought by Steinsvik Group. The main office of Steinsvik AS, location Førresfjorden, is certified according to ISO 9001:2015 and ISO 14001:2015. Furthermore, we do projecting of assemblies for the systems above. We have departments all throughout the coast of Norway. We receive customer inquiries and send out technicians for service, repairs, or expansions/remodeling of feeding systems, camera systems, link or Thermolicer. We also take over cases from Support, where we need to send a technician to solve a problem. We are also responsible for full operation agreements on link systems. 24-hour support which supports our technicians and receives customer requests. The case is either solved by a support operator, or sent to the service coordinator stationed closest to the site. We are also monitoring full operation agreements on link systems. The Support department is located at our office in Frakkagjerd. We also do machining for external clients (SeaWorks).